One of the most popular types of siding on the market today is vinyl siding. The reasons why it’s so popular is because it can last a long time while still looking great and it’s also inexpensive when compared to other similar types of siding for your home. There are some advantages and disadvantages of using vinyl siding for your home which you should be aware of when choosing this type of siding for your home which I will go over in this article. Be sure to discuss any problems or get more understanding from your siding contractor in Taylor Michigan about any of these advantages that you may have a question about. Your siding preference determines how your home is protected from natural elements like the sun, rain, wind, and snow and thus you should make the best decision to protect your investment. Unlike a decade ago, the modern manufacturing techniques have improved the performance and versatility of vinyl sidings eliminating seams in its designs that made it look fake and attractive compared to wood. Nowadays, vinyl sidings are the most popular siding material for their appearance and durability. Here is why Vinyl Siding is a good choice for your home. Vinyl sidings cost less than any other siding material in the market including wood. They are light in weight which means they are faster to install. Choosing a vinyl siding ensures you a faster completion time of your home and lesser cost budget. 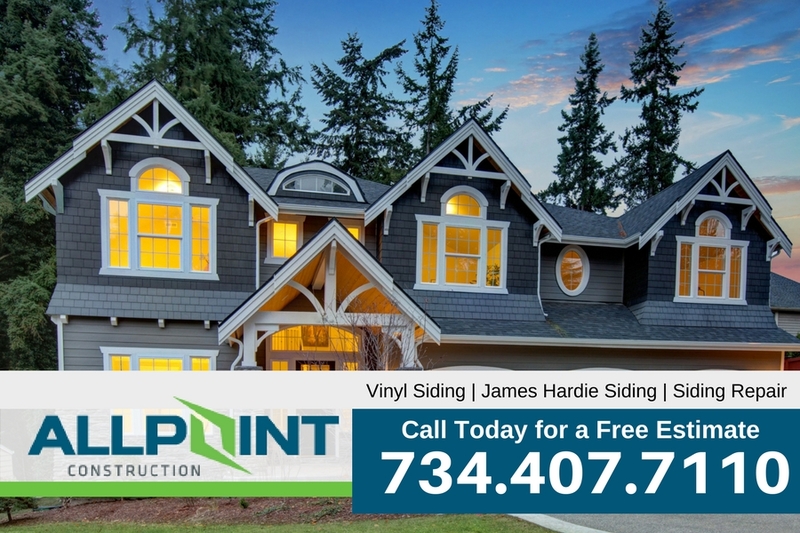 You can call our customer service today to get a free estimation to see how much you can save with vinyl sidings. You will be amazed. The modern technology of manufacturing infuses color within and not on the vinyl sidings to provide a strong, flawless, glossy, scratch free surface. There are a spectrum of colors, patterns, and texture variations of vinyl sidings to choose from. In case the pre-colored vinyl sidings do not fit your color specifications, you can paint it with your desired colors though you note that this will require more maintenance. Vinyl is very attractive and works as accompaniment with bricks, timber, or stone which can really increase your property’s attractiveness and value. Vinyl siding come in three gauges which determine the durability of your siding. The thicker the siding, the more costly and the more lasting it will be. The common 45 gauge vinyl siding can last for 25 or more years depending on varying weather conditions while the 55 gauge can last more than 45 years in the same conditions. Vinyl sidings are made to withstand weather elements without breaking or rotting compared to wood and other sidings. Vinyl sidings don’t require paint to maintain their appearance unlike wood. You only need to wash the sidings once or twice a year to make it look clean, new, and good. The vinyl fades off after 10 years and that is when you can paint it if you desire. The materials that make up the vinyl sidings are resistant from termites and rotting from blights unlike wood making it very cheap to maintain. The interlocking design of the vinyl siding added with other insulation materials prevent heat loss between the walls of your home. Through thermal bridging, your house remains cool in the summer and warm in the winter thus saving you in energy bills and usage. However, vinyl sliding has some few drawbacks as expected from any other invention. It dents easily on high impact and dents don’t pop back up and the only way to correct them is through replacement. Replacing is costly because of its interlocking design and mixture of color from the new and old sidings. But generally, vinyl sidings are good for homes for their cost effectiveness, durability, and low maintenance. Want to learn more about getting siding for your Taylor Michigan home? 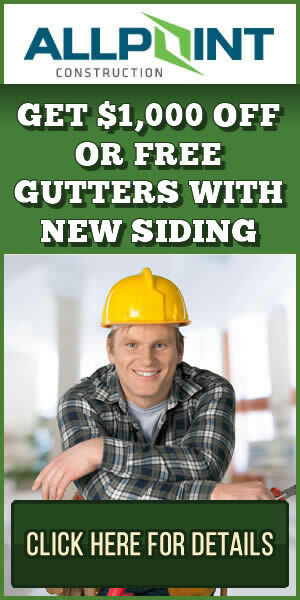 Be sure to call the siding experts at All Point Construction today. They offer free estimates on siding projects in the Taylor Michigan area. Call today at 734-407-7110 for more information.